The Faculty of Law’s David Asper Centre for Constitutional Rights is pleased to announce that lawyer Breese Davies will be the Asper Centre’s Constitutional-Litigator-in-Residence for the fall 2017. Davies, a Toronto-based criminal defence lawyer, will be teaching constitutional advocacy in the Asper Centre clinic during the fall term. Drawing upon her extensive experience from her criminal, constitutional and administrative law practice, and her academic experience as an adjunct professor of criminology and the University of Toronto, she will mentor students on the case files that they will be working on in the clinic. 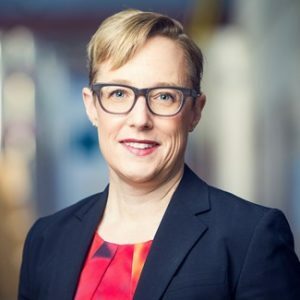 “Breese Davies brings a wealth of litigation and teaching experience to the role that will benefit the students and the Centre” says Executive Director, Cheryl Milne. This entry was posted in Our Faculty and tagged Faculty, Litigator, University of Toronto. Bookmark the permalink.